What Is a Draft Beer? How Old Can a Beer Be Before It's Bad to Drink? Beers in a bucket filled with ice. 2 What Is a Draft Beer? 4 How Old Can a Beer Be Before It's Bad to Drink? So you're not lucky enough to have a beer fairy who keeps your fridge stocked with cold brews. Chilling a can of beer doesn't require you to leave it in the refrigerator for hours. 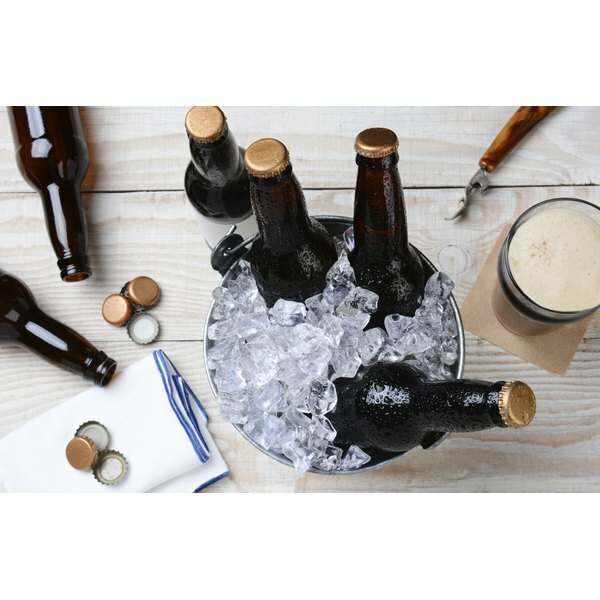 While some enthusiasts swear by various cooling methods requiring things such as compressed air and store-bought cooling devices, your kitchen holds everything you need to turn your beer frosty in 15 minutes or less. Submerging beer cans or bottles in a bucket of ice will chill them quickly. Add water to the ice and the beer will cool even faster, but for the fastest results, use a combination of ice, water and salt. 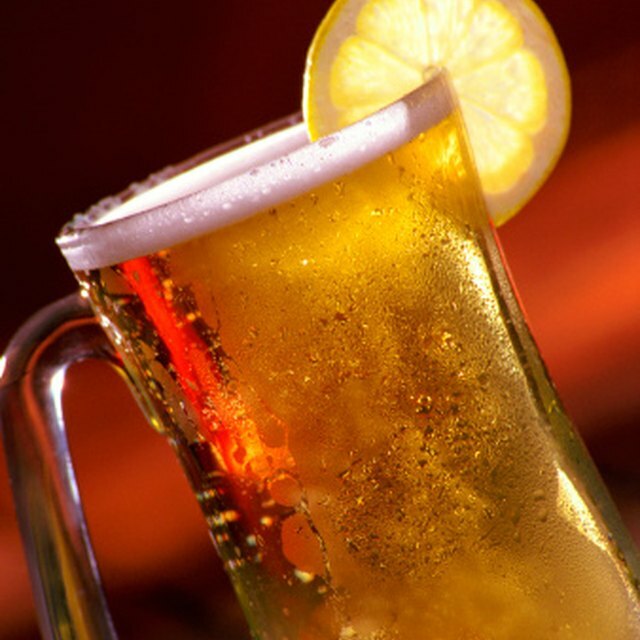 The salt makes the ice melt quickly so the beer becomes completely surrounded by ice-cold water. Stir a few spoonfuls of table or rock salt into a bucket or bowl of equal parts ice and water and add the beers. Turn the beers every few minutes until they're chilly. Rinse the cans or bottles before drinking from them. Some people also swear by wrapping a wet paper towel around a beer and sticking it in the freezer, but you won't get dramatically colder beer with this method than you will if you simply stick the beer in the freezer. What Can You Put in Beer to Make It Taste Better? What Kind of Beer Do You Use to Cook Kielbasa in a Slow Cooker?